Ambient Heating and Air Conditioning has been proudly providing HVAC contracting services to commercial buildings and residential homes throughout Hampshire and Hamden County, Massachusetts since 2003. Ambient Heating and Air Conditioning and our technicians have all our necessary credentials including licensing, certifications, and insurance to give our valued customers a high moral standard, friendly customer services, and superior HVAC services. Ambient Heating and Air Conditioning talented experts utilize professional grade equipment and products to enhance our skills and expertise. Commercial businesses and residential homes across Hampshire and Hamden County, Massachusetts should invest in Ambient Heating and Air Conditioning’s air conditioning inspection service to extend the longevity of your unity and have smooth and efficiently running air conditioning during the warm summers. –	Check the level refrigerant. –	Test for any refrigerant leaks with the use of a leak detector. –	Inspect the air ducts for leakage in central systems. –	Measure airflow through the evaporator coil. –	Inspect electric terminals, clean and tighten connections and apply a non-conductive coating. If necessary apply lubricant and check belts for tightness and deterioration. 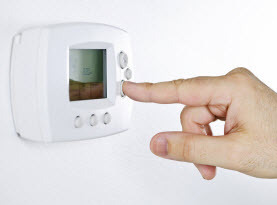 –	Inspect the thermostat for accuracy. The evaporator coil and condenser coil are prone to collecting dirt over time. When replacing or cleaning your filter routinely, you can minimize the evaporator coil from premature buildup. But the evaporator coil will still collect dirt buildup eventually. The dirt buildup greatly reduces airflow and insulates the coil, restricting its ability to absorb heat. Outdoor condenser coils can also become very dirty with a combination of nearby foliage and the outdoor elements. 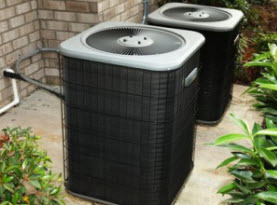 To minimize the dirt and debris near the condenser unit, clean out dryer vents, maintain falling leaves, and keep the foliage trimmed away from your unit. The aluminum fins on evaporator and condenser coils are easily bent and can block airflow through the coil. Ambient Heating and Air Conditioning will not only make sure they are clean, but will ensure they are straightened out. Clogged drain channels prevent a unit from reducing humidity, and the resulting excess moisture may discolor walls or carpet. Ambient Heating and Air Conditioning will ensure the condensate drains are clear of clogs for efficiency. 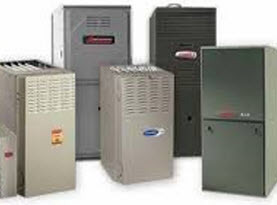 Ambient Heating and Air Conditioning air conditioning maintenance for commercial and residential air conditioning consists of more than the above mentioned items. We inspect the unit is lubed accordingly, belts are replaced if needed, bolts and screws are tightened, refrigerant levels are accurate with no leaking, and air ducts are up to par. With your Hampshire and Hamden County, Massachusetts home or business, the air conditioning maintenance service performed by Ambient Heating and Air Conditioning should be performed at least once a year at the beginning of air conditioning season. 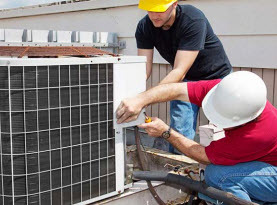 Our air conditioning maintenance service can keep your unit running smoothly and efficiently, minimize major repairs, and extend the lifespan of your air conditioning unit. Call us today to schedule your appointment!